If you are ready to quit, call The Welwyn and Hatfield Practice on 01707 888229 for a consultation to see how acupuncture can empower you to take control and begin a healthy and smoke-free life! Acupuncture has great success with helping people to stop smoking. 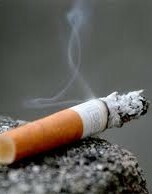 Acupuncture has encouraged growing number of cigarette smokers into permanent ex-smokers. Treatments are tailor made for you. We take all of your symptoms into account and aim at balancing the energy/dopamine within the body to optimize health. The acupuncture treatments focus on helping cravings, irritability and restlessness. Many of the symptoms are typically associated with smokers when they quit. It also hugely beneficial as an emotional support and aids in relaxation and detoxification. Hatfield Acupuncture Practice is successful with smoking cessation and has turned a growing number of cigarette smokers into permanent ex-smokers. Our treatments take all of your symptoms into account and aim at balancing the energy/dopamine within the body to optimize health and emotional stability. What Is Involved When I Have Acupuncture to Stop Smoking ? What Should I Do Next ? Acupuncture is not a panacea or a magic cure in the treatment of any addiction, including smoking or weight loss. But, acupuncture is effective in making it easier to quit and remain smoke-free for good. Schedule your Acupuncture treatment at The Welwyn and Hatfield Practice ! The length, number and frequency of treatments will vary. Our typical treatments last up to an hour, with the patient being treated once a week. Some symptoms are relieved after the first treatment, while more severe or chronic ailments often require multiple treatments. Your stop smoking program will often consist of 1 – 6 treatments scheduled in the first few weeks followed occasionally by monthly treatments if you need them.